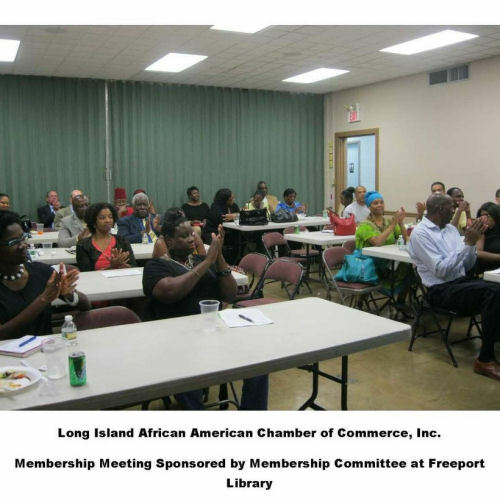 Long Island, New York – New York State’s largest African American Chamber of Commerce LIAACC (Long Island African American Chamber, Inc.) is a shining example of chamber development and its impact on the regional and local area that it is chartered to serve in New York State. Since its inception in 2010; LIAACC has continued to grow significantly in numbers, along with increasing its impact on its service territory. LIAACC helps small business owners in the areas of access to capital, technical assistance, advocacy, and entrepreneurial training. Since its inception in 2010; LIAACC has continued to grow significantly in numbers, along with increasing its impact on its service territory. LIAACC helps small business owners in the areas of access to capital, technical assistance, advocacy, and entrepreneurial training. In 2014, LIAACC officially installed its first Officers and Board of Directors at an historic installation ceremony at the Theodore Roosevelt Executive and Legislative building in the ceremonial chambers of Nassau County. Judge Norman St. George, Supervising Judge of Nassau District Court; Acting Supreme Court Justice swore in LIAACC’S President, Phil Andrews. Judge Andrea Phoenix swore in the Officers and Board of Directors. The installation was held in conjunction with Nassau County Office of Minority Affairs under the leadership of Dr. Phillip Elliot, Deputy County Executive Office of Minority Affairs. Long Island Business News has recognized the work of its members in the categories of Leadership In Law, 50 Influential Women on Long Island, Diversity Awards; and other awards such Glass Ceiling Awards, Nassau County Small Business Person of the Year and Legislative Breakfast, and the Excellence In Communication Awards. 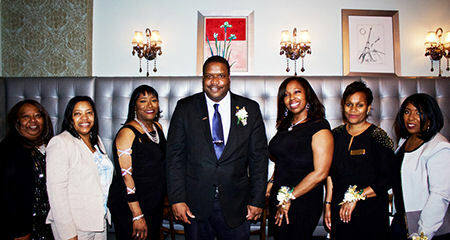 In addition LIAACC’S members have been honored by the Islip Chapter of the NAACCP, Black Business Awards, and the Suffolk County Independent Business Women’s Awards. In 2015 the Long Island African American Chamber of Commerce, Inc.,FidelisCare, and MLK Center in Long Beach hosted a Joint toy drive at the Martin Luther Center in Long Beach where several hundred toys were distributed to the families with children in attendance affected by Hurricane Sandy. In November of 2016 the LIAACC launched and unveiled its new website. In May of 2016 LIAACC served as the lead organization for the 1st of its kind Regional Chamber Leadership Conference which was held at Hofstra University. Co-host for the event included the Nassau County Council of Chambers, Suffolk County Alliance of Chambers, and the Long Island Hispanic Chamber of Commerce. Ron Busby, Sr. President and CEO of the US Black Chambers, Inc. which is the nation’s largest national Black Chamber organization in the country served as the keynote for the Regional Leadership Conference. LIAACC’S MWBE Chair Charlene Jackson Thompson, Esq. work was recently honored by NY State Senator John E. Brooks. LIAACC has been featured on WABC Here and Now, NBC’S Positively Black, FiOs1 Push Pause, MY Long Island News, Long Island Business News, Newsday, and Black Enterprise – BE Modern Man. LIAACC’S Installation and Holiday Celebration will be on December 14, 2017 at the Pop O’ Paint Gallery located at 822 Merrick Road Baldwin, New York 11510.